Welcome to Digital Digest! 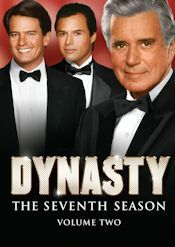 This week, we have news of some new complete series sets (of old releases) on the way from Sony, a few updates on releases of 2012-2013 seasons of your favorites series, and finally, a review of Dynasty - The Seventh Season. Let's get going! 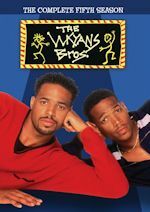 Sony, a studio that we haven't heard a whole lot from on the classic TV front in recent years, announced several complete series sets of classic TV series in value-priced re-releases this week. Among those are Bewitched - The Complete Series, I Dream of Jeannie - The Complete Series, and The Partridge Family - The Complete Series. Of course, all of these have had all of their individual seasons released, but if you want all of them at a value price, you'll have that chance when these are released on October 15. Our guess is that these will be those typical "black spindle" releases. Sony isn't the only one with complete series releases, though. Universal (which, by the way, has been known to use more traditional packaging for their complete series sets) announced one that we're honestly surprised wasn't released long ago: Magnum, P.I. - The Complete Series. It is unclear, though, if this set will be exactly like the previous season sets. In particular, a Simon & Simon crossover episode was originally included on one of the season sets, but when that season was re-released as a single-sided release, the Simon & Simon crossover was nixed. In any event, that entire series has been released anyway, but Magnum will be coming on October 1. 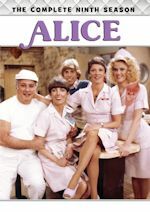 Finally, TVShowsOnDVD.com has confirmed release dates for some releases of a few current fan favorites. First, for September 24, Modern Family returns with Modern Family - The Complete Fourth Season (DVD/Blu-ray). Then, on October 1, we'll see the release of New Girl - Season 2. We'll have much more on these as the release dates approach. Tuesday (July 23) only has one release of note to us, with Shout! Factory's release of The Jack Benny Program - The Lost Episodes (review). After another year-long wait, it's back on DVD! 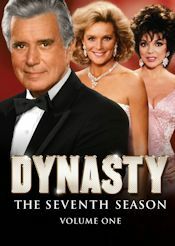 The addictive, primetime soap opera that quickly became a 1980s hit and lives on in popular cult status returns to DVD with Dynasty: The Seventh Season, Volume One & Volume Two. Each volume includes episodes of all the over-the-top glamour and drama from the series' seventh season. Explore the conflicts, passions, drives, and tensions of the Carringtons, a rich and powerful oil family, as they struggle to maintain their status of wealth and influence. This two-volume set brings all 28 episodes of season seven in two volumes, and like seasons five & six, they come out on the same date so we don't have to wait for the second half later on! Still, they are actually two different volumes, that you could buy separately, but there is a two-pack available if you want that instead! We get all 28 episodes on seven discs (down from the eight in season six). John Forsythe, Linda Evans, and Joan Collins star and we leave off where the sixth season left off -- the fire. This is the season where ratings started to decline and for the first time since season two, it was out of the top 10. Seasons 3-6 all were in the time of the height of the popularity, with season five hitting being the peak. 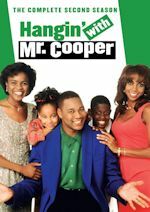 The series lasted 9 seasons on ABC, from 1981-89. We get the the entire seventh season (1986-87) on this two-pack set. I'm just glad we don't have to wait for the conclusion of the seventh season, but they are still splitting the seasons in half. For the last few releases, it's just that they are out on the same day! Anyway, the drama in Denver continues whether it is at the mansion or the LaMirage hotel. 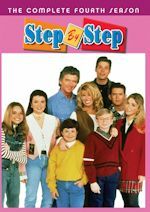 Diahann Carroll and Heather Locklear are also back this season, while Ted McGinley is now a regular. The seventh season begins with "The Victory," as the sixth season cliffhanger is revealed as Michael Culhane returns to the fold to rescue Amanda from the La Mirage fire, but tragically Claudia dies in it, while Alexis immediately begins another plot to destroy Blake even further. In "Focus," Krystle is rushed to the hospital with life-threatening injuries after a limo crash, while Dominique offers financial help to Blake and Alexis puts pressure on the district attorney to charge Blake with arson. In "The Letter," a dying Emily Fallmont gives Blake a letter that will clear his name and expose Alexis and Ben of all their schemes, but after Alexis makes threats to expose him, Michael confesses and finds himself out of favor with Blake, as upon leaving Denver, Caress makes peace with Alexis and warns her about the sinister Ben. In the two-part episode "A Love Remembered," at the last second, Ben decides to save his brother, but at the hospital, Alexis decides to take advantage of Blake's memory loss by feigning a picture of them as a happily married couple. In the conclusion, Krystle and Dex arrive in Hong Kong to search for Blake, Alexis & Ben, while back in Denver, Sammy Jo and Steven grow closer over their troubling situations, as Alexis exposes her own deceitfulness to Blake at the hospital and reunites him with Krystle. In "The Mothers," Krystle extends an invite to Leslie to move into the mansion and she accepts and Ben sees this as a chance to reconcile with his daughter, while Blake and Krystle desperately search for a donor for Krystina, Dex and Dominique offer a sliver of hope. In "The Sublet," a kidnapped Krystina is terrified while being held captive by an unstable Sarah, who has convinced herself that Krystina is her own deceased daughter, Kathy, while Dominique receives a marriage proposal from Nick and Adam self-destructs. In "The Affair," Jackie returns to Denver with plans of reuniting her parents, Dominique and Garrett and she confronts Nick and tells him to stay away from Dominique, while Krystle continues to help Sarah through the grieving process and plans for Adam and Dana's wedding go back into full swing. And finally on the season finale, "Shadow Play," Krystle senses danger on the eve of Adam and Dana's wedding, both Clay Fallmont and Ben Carrington decide to leave Denver, amid scandal about Clay's paternity, while the festivities of the wedding make Alexis emotionally vulnerable, and her car goes into a river. Krystle's premonition of danger is realized when the entire Carrington family is held hostage at the mansion by a face from the past: Matthew Blaisdel. Packaging for both volumes once again is a snap case holding the discs inside, similar to previous sets. Again the discs don't overlap each other, which is great. We have two plastic holders on the first volume. Discs one and two are in the first plastic holder, while discs three and four are in the second plastic holder. That little holder is cheap, but I guess it works. The second volume only has one plastic holder, holding discs one and two, while disc three is on the right panel itself. The cover art of the first volume has Blake, Krystal Alexis with the Dynasty logo below them. Volume two's cover art has Blake and the men in similar style. The color schemes are red for both volumes. The back of the case's on both volumes has a synopsis of the show, the set, and technical information. We also have four episodic photos and a promotional cast photo. Back inside the cases, there is a disc-by-disc breakdown on the left and right panel for every episode on this set. We get episode titles and a synopsis of each episode. Like the last few seasons, it seems like they removed the original airdates for some reason...anyway, don't be reading it before watching the episode now! Artwork on the discs is just plain again. It is plain silver for each one. Dynasty logo and whatever disc number it is on the disc, and episode titles are listed on the disc. Disc-by-disc breakdown is available above in episode runtimes, but basically we have 4 episodes on each disc (4 episodes X 7 discs = 28 episodes). There is nothing different about the packaging here, except volume two has three discs, rather than four. This section is always consistent, it seems...and that is a good thing, I guess. We know what to expect. And the consistency continues again for the menus. CBS DVD is terrible in menus, as you all probably know. Each menu has different artwork but it is so plain again. The episodes are listed right on the main menu once again. Subtitles option is also available below the list of episodes, but it is only English again. Main menu artwork has three shots of the same image. For volume one, disc one's main menu has three shots of Blake, disc two has three shots of Alexis, disc three has three shots of Krystal and disc four has three shots of Blake & Alexis together. For volume two, disc one's main menu has three shots of Steven, disc two has three shots of Sammy Jo, and disc three has three shots Dominique. It is very similar to the previous sets. No theme music or any music in the background once again. Before the main menu on both disc one's, there is an option for previews...we get previews such as The Good Wife S2 DVD and Melrose Place S3 DVD...yet AGAIN. But you can skip to the main menu if you wish. The video is on par with the previous season and it looks good. Like previous sets, just some debris here and there in the opening credits, like flashing black dots, but it is still good quality. It isn't in widescreen, obviously. The audio is decent, a nice sounding mono...that is crisp and clear. No problems here at all. It seems the video and audio get better as the seasons go on, which makes sense. There are 6 chapter stops once again each for every episode, counting the opening and closing credits stops. This is all consistent again from previous sets. We don't have a two-hour episode on this set, like last season. We only have a two-part episode and it is in 2-parts, like it originally was. We have zero special features, like the last set. On season five, volume two we got one special feature actually. As a recap, the second season had a little family tree thing, which was something at least and the first season was done by 20th Century Fox, and they did a decent job with some featurettes and commentaries, but CBS DVD has done basically nothing...which is typical. But on the second volume of season five we did get something archival! It was a clip from Entertainment Tonight in 1985 as Leeza Gibbons interviews guest star Rock Hudson and we also have Linda Evans talking about Rock. I wish they cleared more archival stuff like this for season seven, instead we are getting nothing here like on season six. Disappointing, but expected. Season seven is a wrap and all in one day, just like the fifth & sixth season releases, and no waiting for months to continue! We just have to wait a year in between releases it seems. I highly do recommend any fan of the show to pick-up these two volumes (in a two-pack set! ), because the episodes are so good and addictive and you'll want to see the conclusion of La Mirage cliffhanger from season six. We have great episodes on this set, and yet another cliffhanger on the seventh season finale. I cannot stop watching whenever I put the DVD in. This is the mother of all primetime soaps (sorry never was big into Dallas, but the new TNT series is great)! If you have the first six seasons, then you have to get this to continue your collection of course because it wouldn't make sense if you didn't continue. If you haven't gotten those yet, what are you waiting for? It won't make sense buying these two volumes for your first buy of this series, as the episodes are heavily serialized and you'll be VERY lost. I hope CBS reconsiders and gives us the ENTIRE eight season instead in one volume instead of splitting it up into two volumes. Season 8 only has 22 episodes, so it would make sense for them to give us one set in like six or seven discs. It's just expensive to get two volumes, as the MSPR is $72.99 sold together. That's a lot for 28 episodes and no special features. Still, I urge fans to buy it so we finish this series on DVD. CBS DVD is at least consistent with their sets. They are very predictable as the sets are nearly identical to each other (it makes the reviews boring). But like I said last time (and the time before that), complain to CBS DVD for the lack of extras and splitting the seasons in half. Anyway, you're going to get glued in this seventh season and you'll want to see the season premiere to see what happens after the wedding on the season finale! I'm not giving away what the cliffhanger is, so watch! The war between the Carringtons and Colbys continue! Who to Follow: Joan Collins (Twitter), "Actress, Writer, Producer, Wife, Mother, Grandmother. Much travelled. Exhausted"
Claim to Fame: While Collins has had a very distinguished career, she became best known to American audiences in her role as Alexis Colby (along with several other last names) on the prime time soap opera Dynasty. Why You Should Follow Her: Despite what Charlotte Rae would want you to believe (Google that one...), Joan Collins is actually not a whole lot like her character on Dynasty, and seems to be much more personable in real life. She still seems to be a very privileged person (after all, she does carry the title OBE on her name), no doubt, but she is humble about it and seems to love her fans so much. In fact, she even has a tendency to retweet things at the request of her fans. You'll find that her Twitter feed is very much British-centric, as that is where much of her success has been, but she loves all of her fans worldwide.